Global MICE Professionals from 40 Countries Came Together At The 5 th ACE of M.I.C.E. Exhibition by Turkish Airlines. 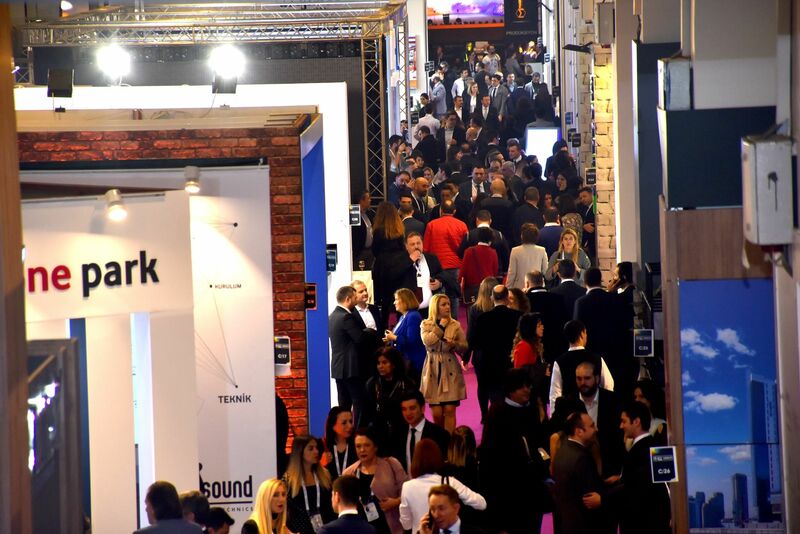 Turkey has proven that it offers a great opportunity and inspiration to congresses, meetings and events industry as the region’s most extensive B2B event, ACE of M.I.C.E. Exhibition by Turkish Airlines(AME) has completed its fifth edition where a high volume of business contacts are being carried out in global MICE sector. 100,000 US dollar worth global media coverage value with the support of AME’s 170 sponsors & amp; partners, 112 national and 57 international exhibitors from 33 destinations (Afghanistan, Austria, Azerbaijan, Belarus, Cote Divoire (Ivory Coast), Croatia, Denmark, Estonia, Georgia, Germany, Iran, Italy, Jordan, Cyprus, Kazakhstan, Kenya, Kuwait, Lebanon, Lithuania, Malta, Morocco, Poland, Qatar, Russia, Rwandese Republic, Serbia, Sierra Leone, Slovenia, South Africa, Spain, Ukraine, U.A.E., U.K. includes 10 new destinations) met with 15.872 professional visitors from 40 countries under one roof. Congresses, meetings and event organizer companies from European and Middle East countries, USA, Canada, Argentina, India, China, and Russia made necessary negotiations in order to bring their global events to Turkey in the upcoming chapters. In his speech, Mr. Ataman said that a total of 617 international hosted buyers came to ACE of M.I.C.E. believing that Turkey had a great potential. They made 1,300 B2B meetings in a day, which means an average of 3.6 meetings per minute. The foreign speakers like Festi Group Founder Valerio Festi, Event Technology Guru Corbin Ball and White Fox, Consulting Founder Matthew Johnson, stated at their speeches that they love Turkey very much and they see it as a big potential in terms of the dynamics of the MICE sector. Within the scope of the fair, 29 famous speakers from around the globe inspired the audience in 19 sessions held concurrently on two occasions for 3 days. Numerous seminars over the last three days shed light on some interesting subjects relevant to the meeting and incentive industry. There were 19 sessions three days in a row with 29 globally well-known speakers in their sector. World’s best speakers in lightening design on and video mapping were presenting their knowledge in a very creative way. Also, Valerio Festi, the most famous show and feast designer in the world shared his knowledge.